How do you describe how digital technology is being used in education in a way that is concise yet allows useful comparison across contexts? The Digital Technology Impact Framework highlights key elements of practice involving digital technology across three dimensions. 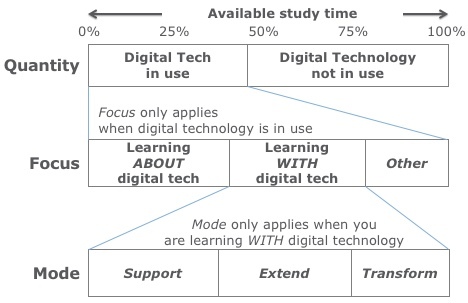 ...continue reading "The Digital Technology Impact Framework (DTIF)"